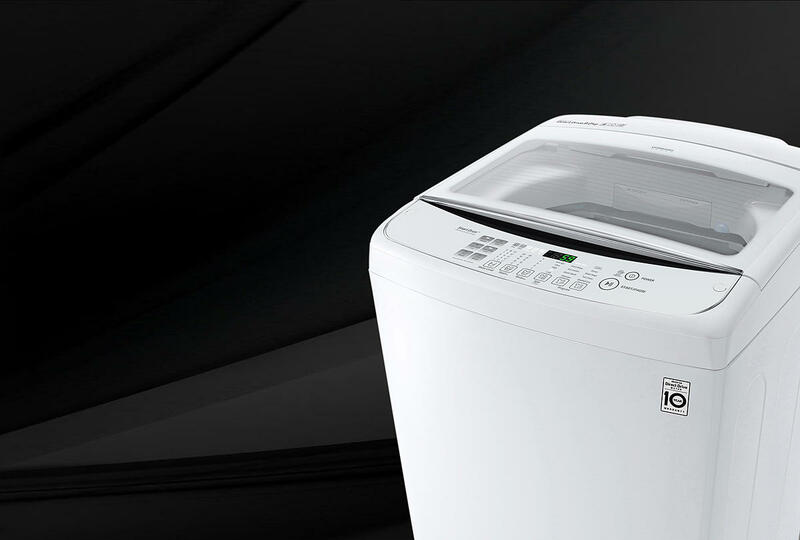 This white LG top-loading washer has a high 4 star WELS water rating for water bill savings, and the capacity to wash 9kg of dry laundry per load so you can easily handle a 5 or more person household’s needs. 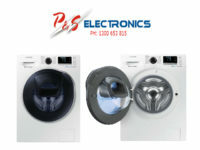 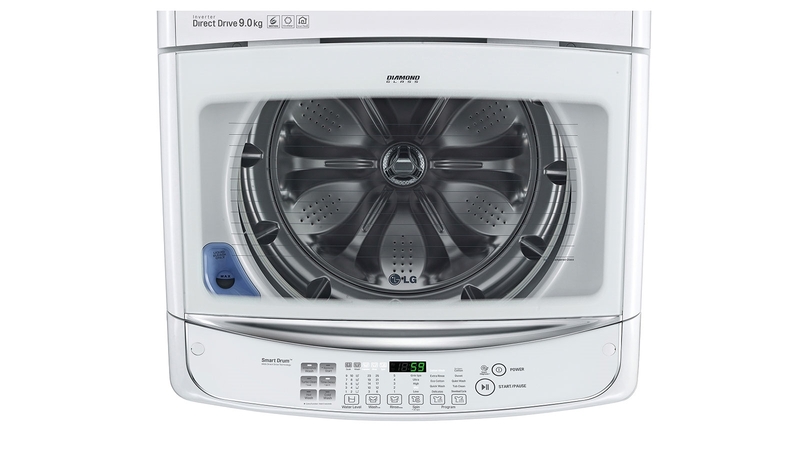 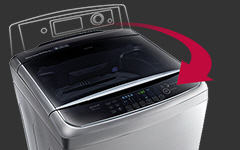 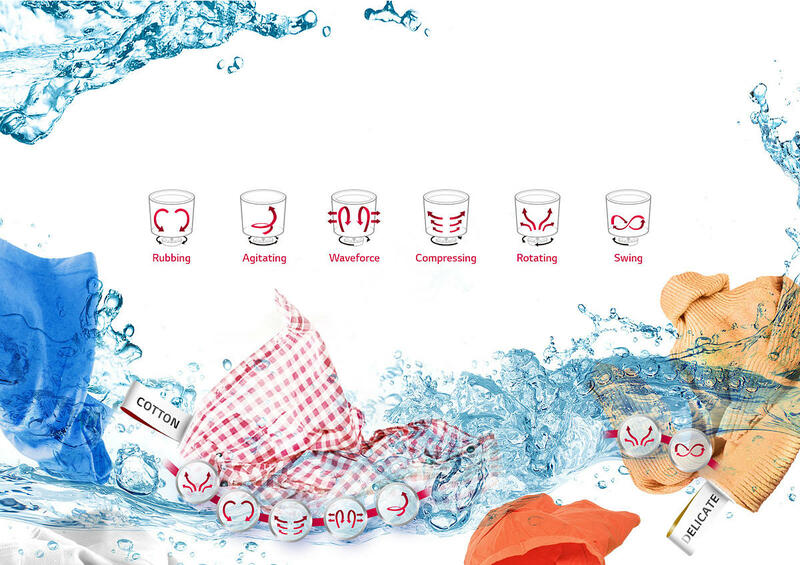 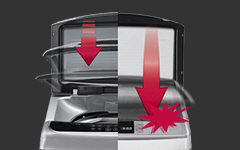 It has 9 types of washing programs, allowing you to program each load of wash for the best results. 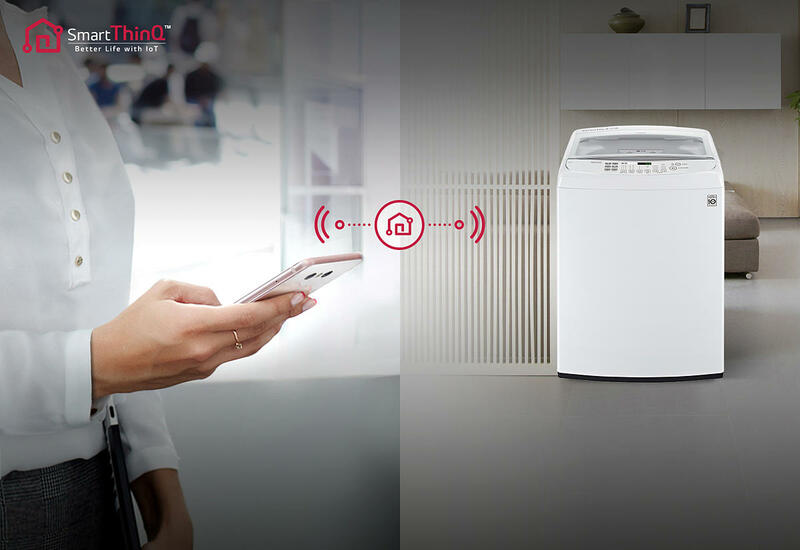 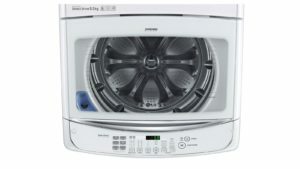 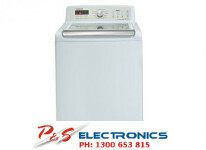 Also, the white LG WTG9032WF has a 950 rpm maximum spin speed and a 2.5 star energy rating. 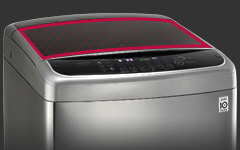 It’s 1020mm high, 632mm wide, and 685mm deep, so carefully measure the space where you want your washer to go and make sure there’s enough room for the lid to fully open with a wall-mounted dryer above if you want to save floor space. 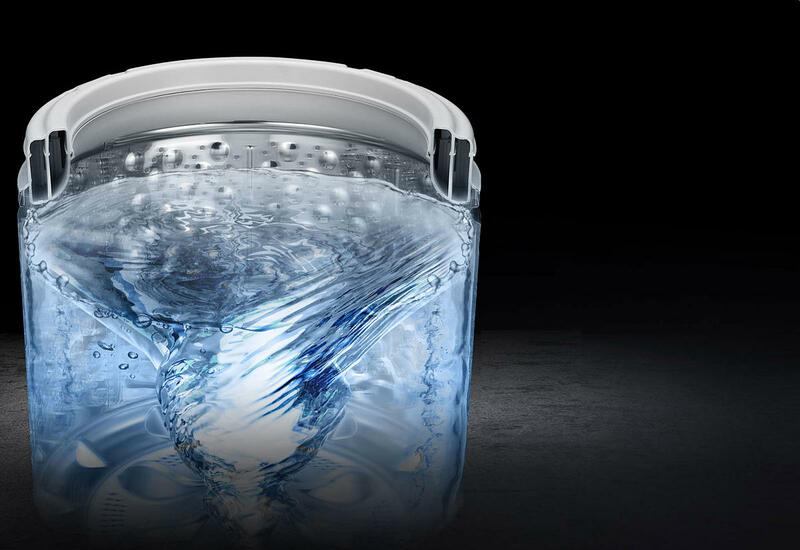 A Stainless Steel Inner Tub is more effective to help control bacteria growth than tubs made of plastic or containing plastic agitators. 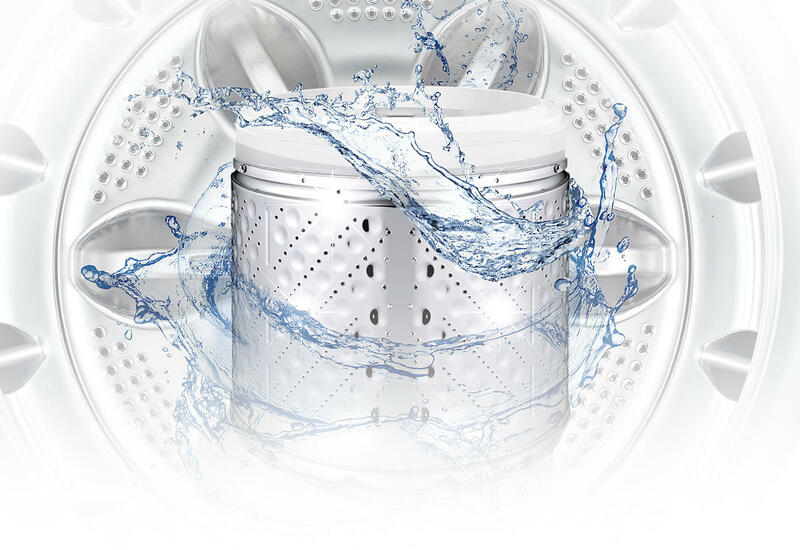 This combined with the Tub Clean program helps maintain a hygienic wash.